Note: The following is a guest post by Tableau Zen Master Matt Chambers, who also happens to be the most-followed author on Tableau Public. This is the first installment in our series, On Becoming a Zen Master. Last week, I learned that I was selected as a Tableau Zen Master. I am extremely excited and humbled to join such an exceptional group of Tableau talent. As I reflect on my journey, I wanted to share a few tips that helped me and will hopefully inspire others. If you have the means, I cannot recommend this enough. When I first attended TC14, I had only been using Tableau for a few months. Most of my work was centered around higher education, so I primarily attended sessions that were related in nature. Eventually, I grew tired of the same topics, so I branched out and attended sessions that sounded interesting. My Tableau mentor is Andy Kriebel. I first met Andy at TC14. Despite being extremely busy with all of his Zen Master and community obligations at the conference, Andy took the time to meet me for breakfast, talk to me about the Tableau community, and inspire me to start participating. That has always meant a lot to me, and it shows just how dedicated he is to contributing to the Tableau community. Andy and I also both happened to attend Clemson University, so we've always had that connection, but he's always been there for me. 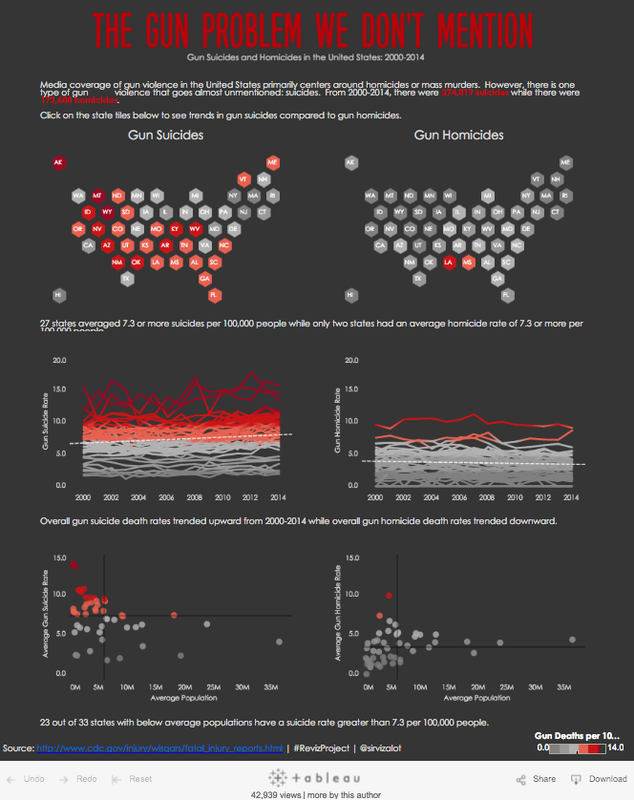 When I came home from TC14 and created my first Tableau Public visualization, it was Andy who encouraged me to post it. A common theme I hear from people who are apprehensive about participating in the Tableau community is that they are afraid people won't like their work. I understand the fear of having your work judged and critiqued, but there are a few things to keep in mind. You're in good company. The Tableau community is full of people that have gone through the same thing before. We all know how hard it is to put work out for the world to see, and most members of the community offer constructive criticism. It will never be perfect. I am a perfectionist, so I know how it is to get caught up in this line of thinking. Some people have told me that they didn't publish their work to Tableau Public because it wasn't perfect. 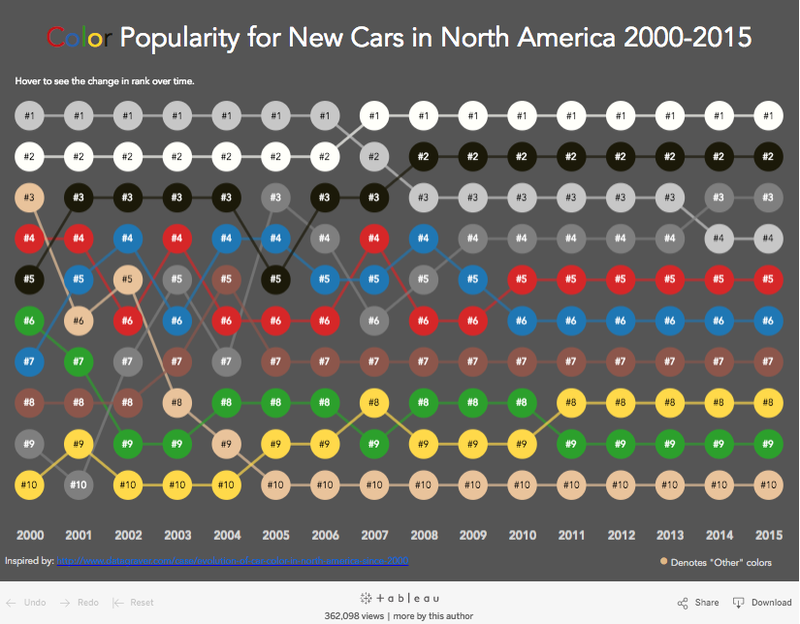 There is no such thing as perfect when it comes to data visualization. Embrace the (constructive) criticism. This is probably difficult for a lot of people as well, but it is a necessary part of a feedback loop that will ultimately result in becoming a better practitioner of data visualization. I have had over 700,000 views on my Tableau Public work. With all of those views comes a lot of criticism. I like to post a lot of my work on Reddit, and I use that as a place to get honest criticism on my work. 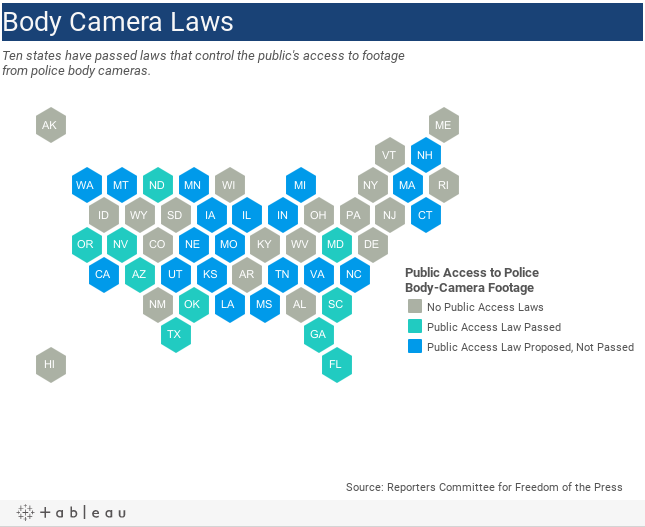 Here is one of Matt's most-viewed vizzes. This is a huge one for me personally. Last year, I competed in the Iron Viz competition, and I was not happy with my performance. One thing that I learned about myself from that experience is that I was not very good at data storytelling. I come from a very technical background, even though I have an MBA, so I have always been more adept at software development, data integration, and advanced analytics. One thing I really wanted to improve on over the last year was my data storytelling abilities. This led to working with Nelson Davis and Alex Duke to create the Reviz Project (learn more about that in this blog post). This is something I am very proud of, and I feel like my data storytelling abilities have improved immensely over the last year. I was immediately fascinated with this technique, and I wanted to see if I could do the same thing for creating hex tile maps. 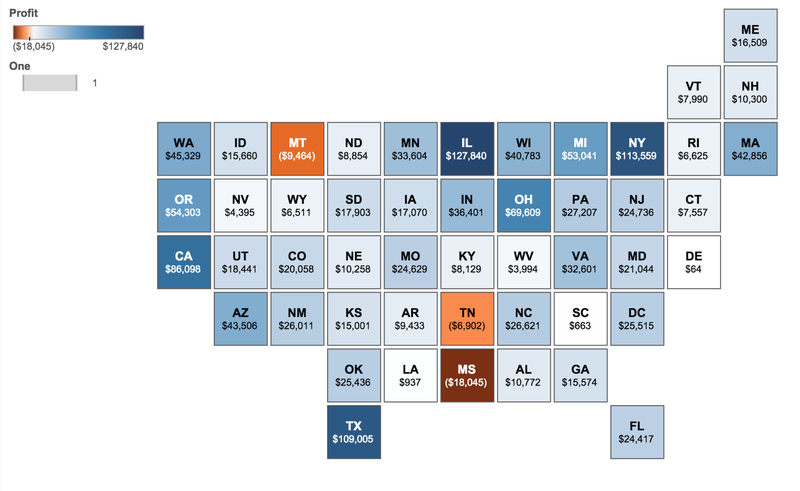 I figured out how to lay out the coordinates, and I wrote a tutorial on how to create hex maps in Tableau (as seen below). This has consistently been my most-viewed blog post. Like many others have said before, becoming a Zen Master should not be a goal. There is no checklist of things you can do to become a Zen. However, my goal is to encourage others to participate in and get the most out of the Tableau community. I hope these tips help you engage with and learn from the community, and who knows, maybe you'll be the next Tableau Zen Master. 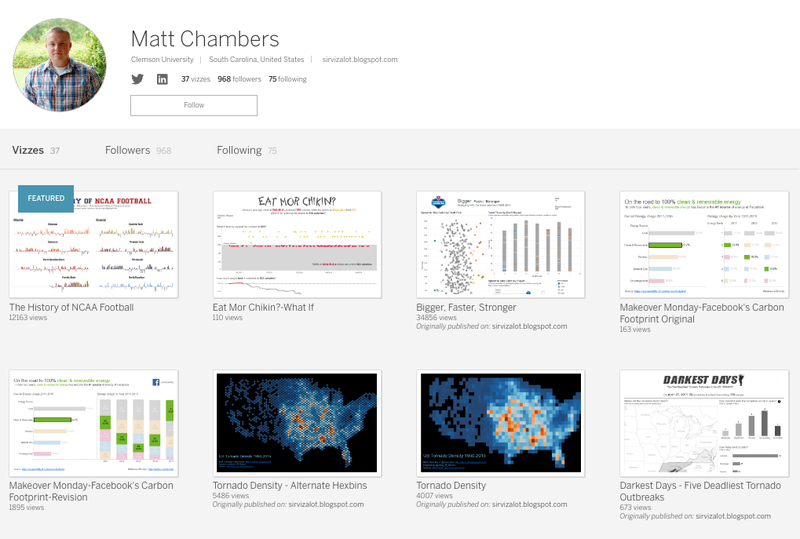 For more tips, tricks, and ideas by Matt, check out his blog and his Tableau Public profile page. You can also connect with him on Twitter @sirvizalot. Thank you for the article Matt. I found it inspiring and I found the suggestions helpful. Thank you for this article! I still consider myself to be quite a Tableau newbie....posted my first question on the Tableau forum today and was actually quite nervous...so it's great to learn that about the various avenues for expanding my skillset and that I should just dive right in and give it a shot! Great piece — most encouraging for me (an absolute newbie). I envisage using Tableau for data-journalism projects — telling stories in visually rich ways using (open access) publicly accessible data-sets. Would be keen to connect with other journalists. Thank you for sharing and congrats on your 'Zen' recognition.